ConnectShip | iShip DSS is a lighter version of the PSS application that requires only a web browser and a printer to make shipping choices and print a plain paper label. 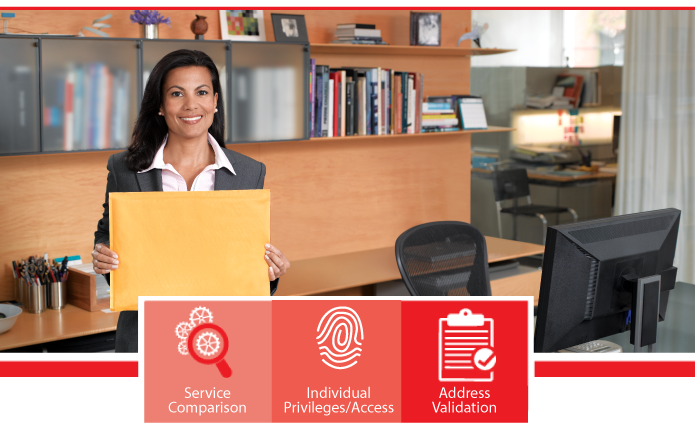 DSS may be used as a stand-alone shipping solution and is often used by shippers with a central mailroom (such as universities, law firms, and accounting firms) to allow various campus locations to pre-process packages prior to their arrival at the central mailroom for rapid final processing using PSS. Used separately or together, both PSS and DSS provide individual users and organizations with powerful insight into the shipping taking place within the application. Cloud-based transaction records, reports, cost analyses, shipping volumes, and tracking data are readily available, regardless of the user location.